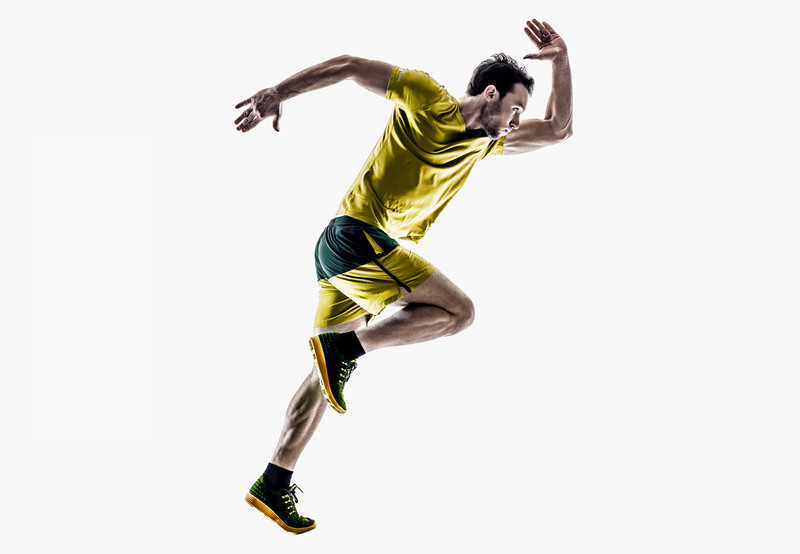 The Running Lab at Great Northern Physiotherapy is designed simply to make you a fitter and faster runner, free from injury and dysfunction, free to enjoy your running. We believe in real data driving our decision making and as such our Running Lab Assessments are carried out using the latest Vimove 2 motion sensor Technology. This is then expertly analysed by Chartered Physiotherapist, Sports Medicine Specialist and UKA qualified Running coach, Phil Williams. As an Runner and Triathlete (Phil was 4th and 3rd in the 2018 World and European Age group Duathlon championships respectively), Phil understands an Athletes needs and has a growing reputation as an excellent coach, performance analyst and Physiotherapist. He brings a simple, evidence based approach to assessing a runner and his coaching programs are underpinned by the latest research and developments. The Biometric assessment has been developed by Great Northern Physiotherapy in order to assess and improve and a Runner’s efficiency. Efficiency and economy are crucial in improving running performance. 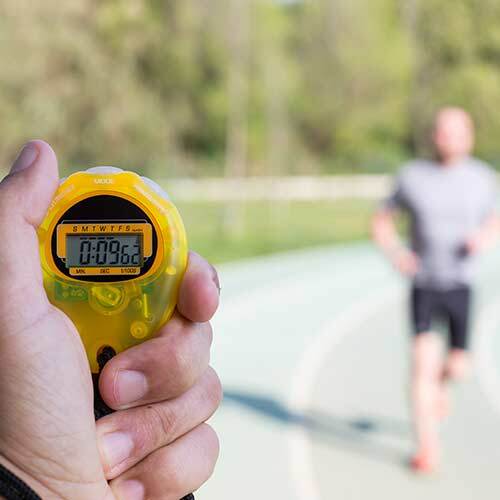 Our 9 point assessment protocol assesses key metrics which can influence running economy and the results help to guide specific exercise programs aimed at improving your Running Economy and reducing Injury incidence. This assessment is driven by accurate validated data from our Vimove 2 motion sensors which capture many different biometrics as you are assessed. The Runners Biometric Assessment is advisable if you are starting a new training program, or you want to find that marginal gain in your running performance. See below for further detail on what we assess during the biometric assessment. IPA is the measure of of vertical acceleration force through the tibia at initial contact in early stance phase. Measuring this can help us with identifying injury risks and further explores your running technique. High values can be related to poor muscle strength or length and reduced motor control. GCT is the time that the foot is in contact with the ground from initial contact to the toe off during the gait cycle, it is measured in milliseconds. GCT often increases with fatigue, low cadence and poor running form. ASI measures the percentage of asymmetry between average GRF values of the left and right legs. ASI can help us determine if you are over a particular type of injury and can be linked to injury incidence. Symmetry in GRF can also lead to more efficient running. 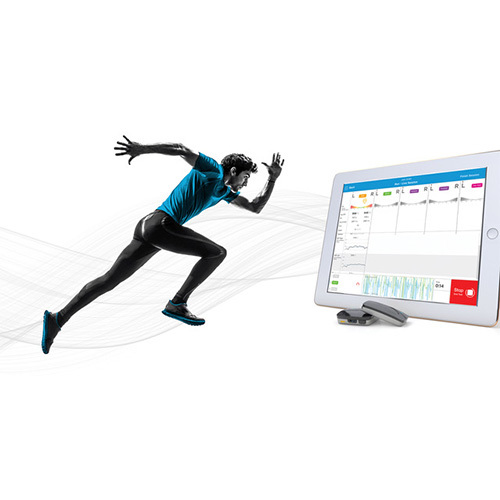 Measured as the number of steps taken by both feet per minute, optimum cadence has been shown to reduce shock at the hip, knee, and ankle, vertical oscillation, and ground contact time, leading to improving running efficiency and reduced injury rate. Via a series of lower limb tests we measure the specific angles and speeds that your shin bone moves inwards (valgus) outwards (varus) and how fast this occurs. We are also able to measure the power and control of your hopping ability. The data harnessed from these tests gives us an accurate picture of your injury risk and lower limb biomechanical efficiency. Gait analysis would not be complete without casting an expert eye on how the whole athlete moves in unison as you run. We use slow motion video analysis to further explore your gait and provide a written report on the findings. If you have a specific event lined up or need some help structuring your training, then our 1:1 coaching appointments are for you. This service is again led by Chartered Physiotherapist and British Athletics Running Coach, Phil Williams. Phil understands the needs of the athlete and he specialises in the coaching of distance runners of all abilities, he is passionate about helping you get the most from your training and improving your performance. 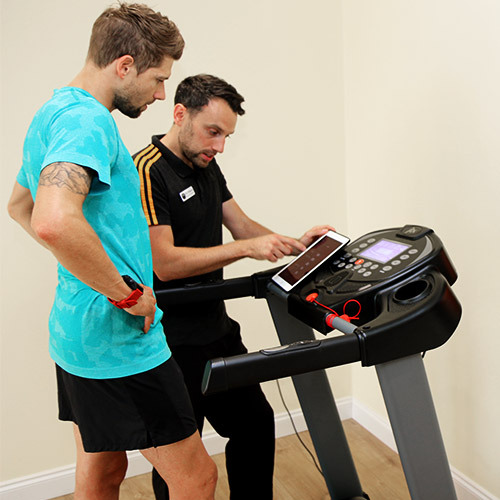 Following detailed assessment of your training and discussion during your coaching appointment you will receive a 6 week bespoke training program with specific detail on training sessions and bespoke heart rate and training pace zones. One to one coaching is available as a face to face appointment or via online video call. Our Running Lab service wouldn’t be complete without the addition of expert Physiotherapy for Runners. Along the way to achieving your goals you may need some Physiotherapy support. This may be needed to relieve pain and rehabilitate a particular injury or equally through thorough assessment and analysis of neuromusculoskletal function we can help you get the very best from your body on race day.